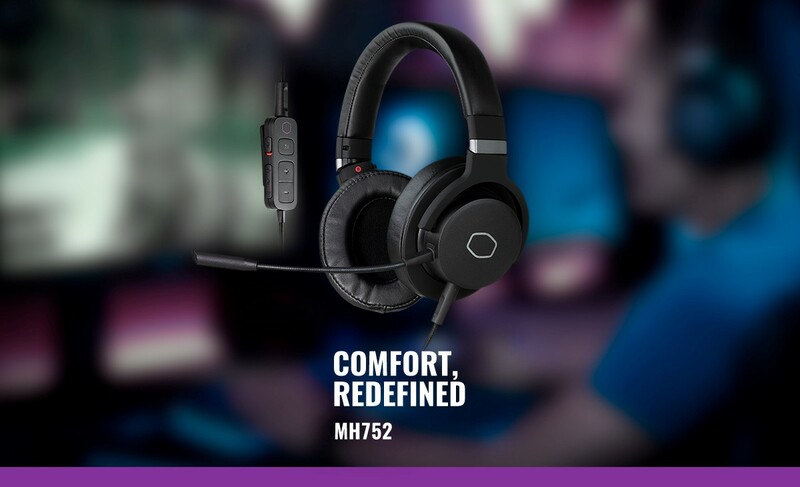 SINGAPORE – Cooler Master, a global leader in designing and manufacturing innovative gaming peripherals and computer components, today announces the addition to its audio line with two new gaming headset, the MH751 and MH752. The MH752 gaming headset features premium quality sound through 40mm neodymium drivers and included USB DAC with virtual 7.1 surround sound providing users the positional awareness needed to hear footsteps and chests during gameplay. This lightweight headset harbors the same unprecedented comfort as the MH751. Users can further customize the MH752 through its easy to use software suite. A 20% Off Launch Promotion of the MH751 & MH752 will commence from 3 – 16 December, 2018.